This is my first post here so I’m not exactly sure of the formats but I found a possible bone that I am unable to identify. 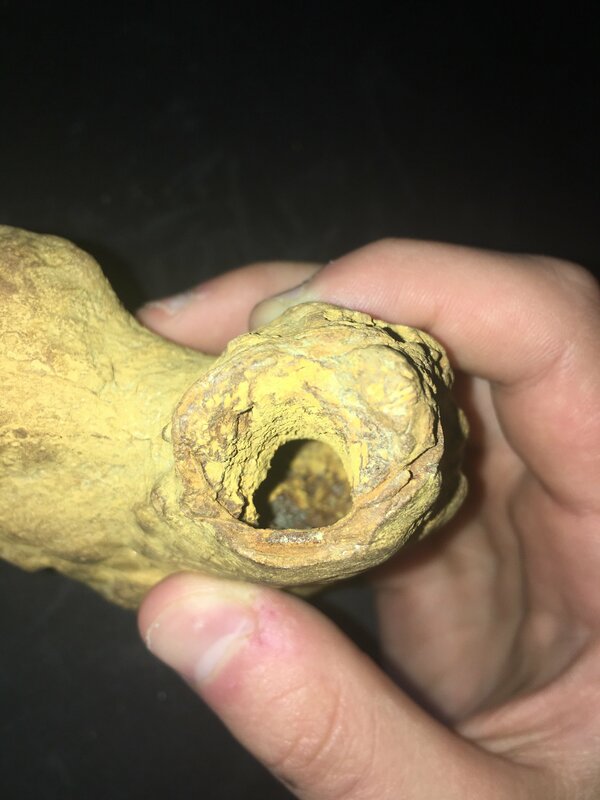 I found this at Calvert Cliffs and have never found anything like it. It could just be a stone but it seems like a very unique shape and structure/composition. Ask if more images are needed because the end is broken off and the internal structure is complex. This is the internal structure. Hello, I’m new to this forum. I really don’t know much about fossil bones and mostly look for shark teeth. However, last year I found an interesting object at Calvert Cliffs. 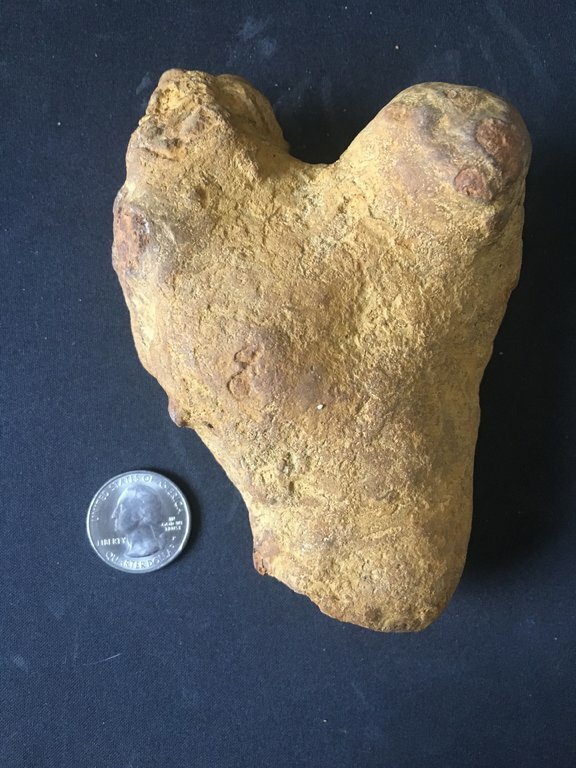 At first I thought it was a rock, but it seems to be quite a unique shape and composition, so I am uncertain. 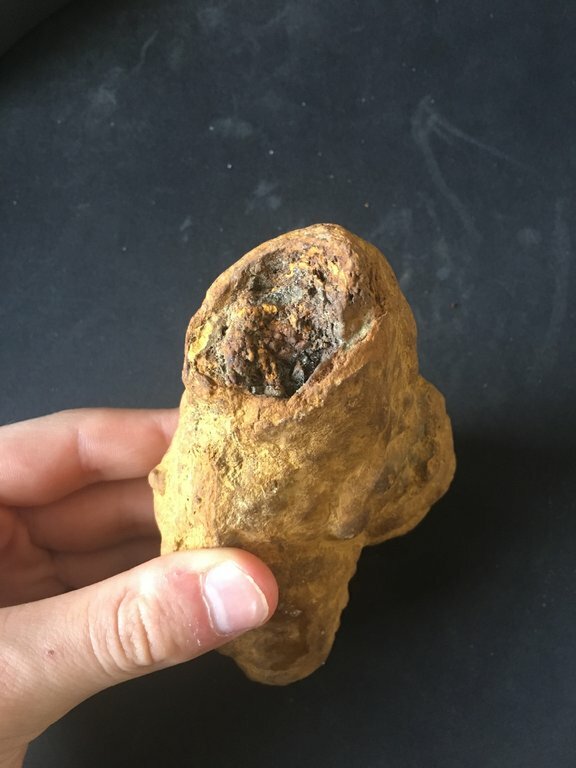 I’d love someone to tell me if it is truly just a rock or if it’s a bone of some sort. I can take more pictures if needed. Thanks! 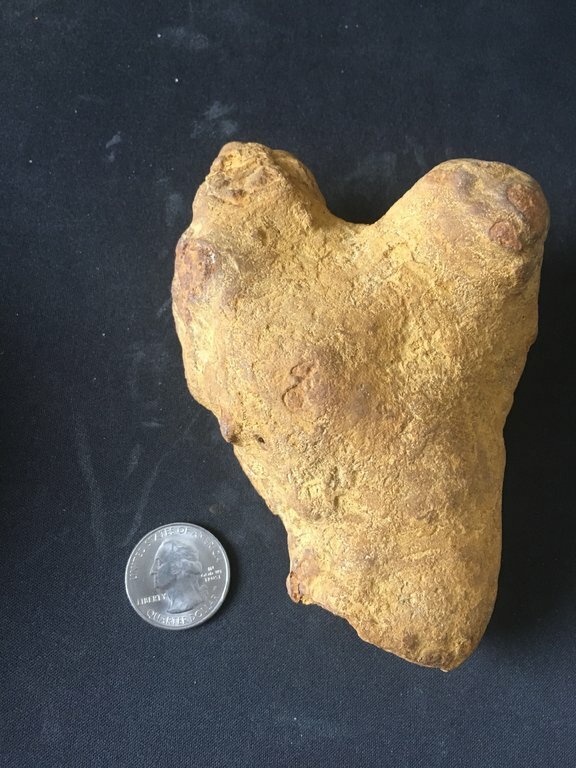 It doesn’t look like a fossil, it looks like it might be a concretion. You should post ID requests in the ID sub forum rather than the questions sub forum. I agree with this being a concretion. PS The mods. moved it while I was typing. I agree that this is more likely to be a concretion. I see no bone texture. Maybe a part of Thalassinoides. 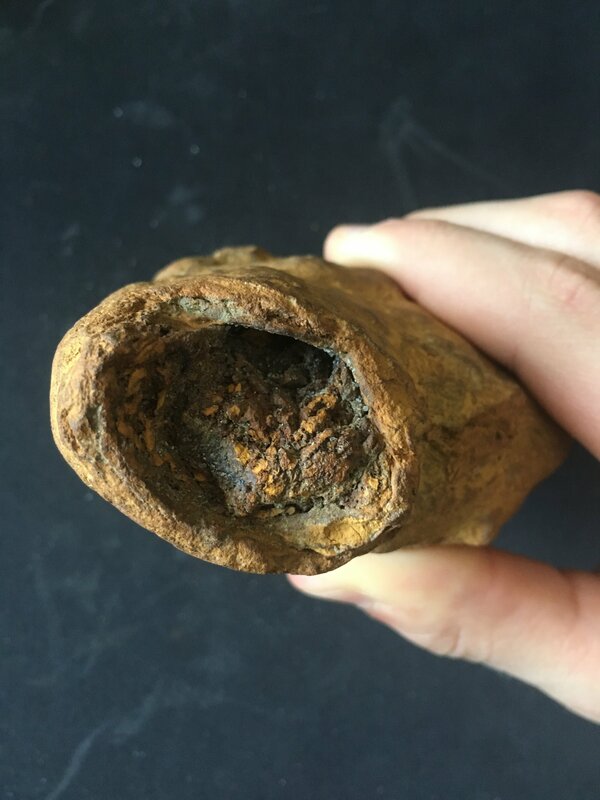 It's basically an ironstone concretion. It's possible that it is a fossil burrow. Can you describe the texture of the center, or give us a better look ? The topic of this thread is what I had in mind. Maybe @Carl, or @GeschWhat would have a sniff ? This is my best attempt at a better photo. The inside is quite rough. On the top there is another opening that is more hollowed out. The back side has more lumps than the front and is much less smooth. 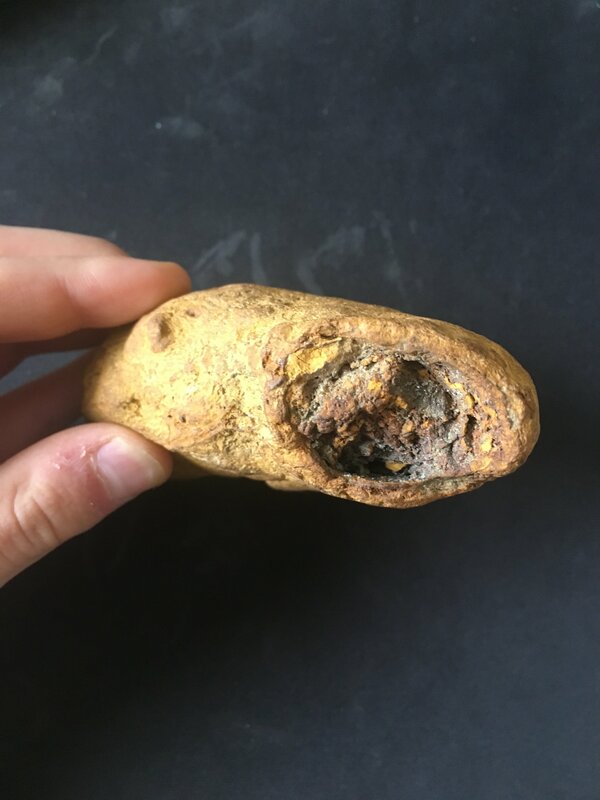 Hi, welcome to , i also think this is a concretion with an odd shape. and I change from Thallasinoides isp. to Ophiomorpha isp.. Thanks everyone for the quick responses! It makes sense that it is a concretion and I’m happy that I now know for certain its origin. I agree with ironstone concretion - doesn't pass the coprolite tests.